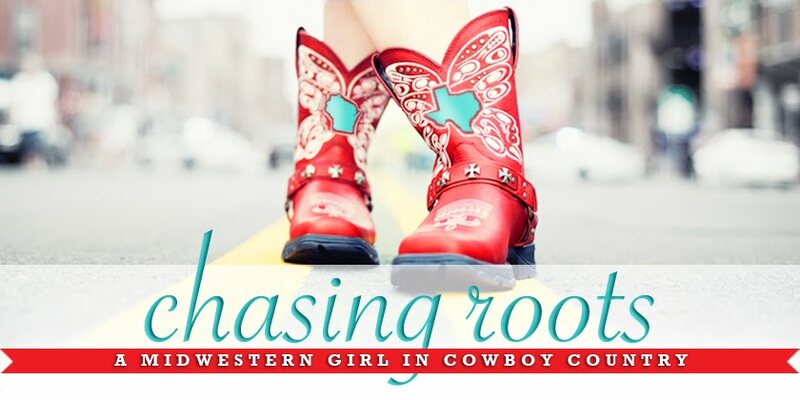 This post falls into the category of "neither here nor there", so please proceed with the knowledge that this story has little to do with life in Texas, life in the Midwest, or even life in general. Sometimes I just like to share things that make/made me smile. Back in July I found this "Special Offer" stuffed inside a folded recipe. 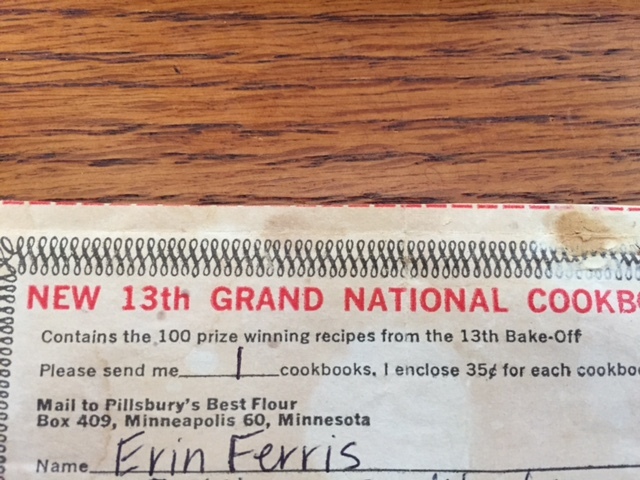 Despite the fact that the coupon was printed 18 years prior to my birth, I decided I couldn't pass up an opportunity to get all 100 prize winning recipes from Pillsbury's 1961 Grand National Bake-Off. I filled out the coupon, enclosed a check for $0.35, and mailed both to the address listed. Not surprisingly, my envelope and its contents were returned to me wearing a sticker that read "not deliverable as addressed, unable to forward". Makes sense, since apparently we didn't use zip codes back then. I wasn't quite ready to give up though, so I repackaged everything and mailed it to the General Mills headquarters. 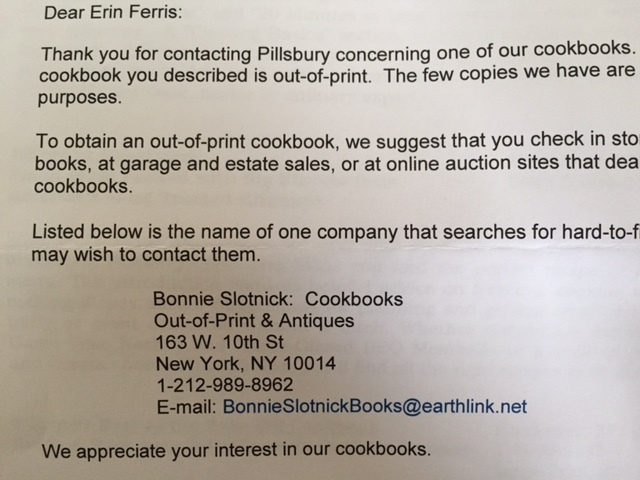 It took a month (surprising, I know, given the importance of and priority given to requests for cookbooks printed in 1961), but last week I received a personalized letter from Pillsbury regarding my request. 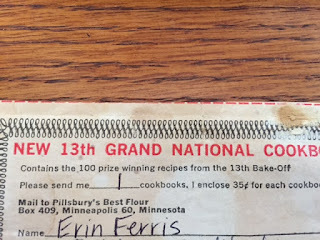 I have no plans to contact Bonnie in search of the 1961 Grand National Bake-Off cookbook because even though I went through all this trouble, I did so because I thought the cookbook would make a fun and funny gift for my mom...not because I have any interest in vintage cookbooks myself. (I'm more of an internet recipe kind of girl.) 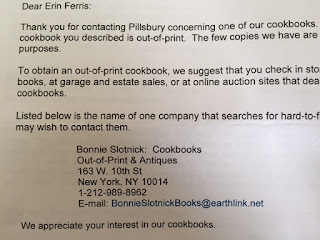 I will, however, make an effort to shop Pillsbury when I can - good customer service is hard to find these days! I have no affiliation with Pillsbury or General Mills and did not receive any compensation for this post.